The City of Madera is looking to assist as many eligible households as possible by restoring their homes to meet the Uniform Building Code and “safe, decent and sanitary” standards established by the City of Madera’s Building Division. 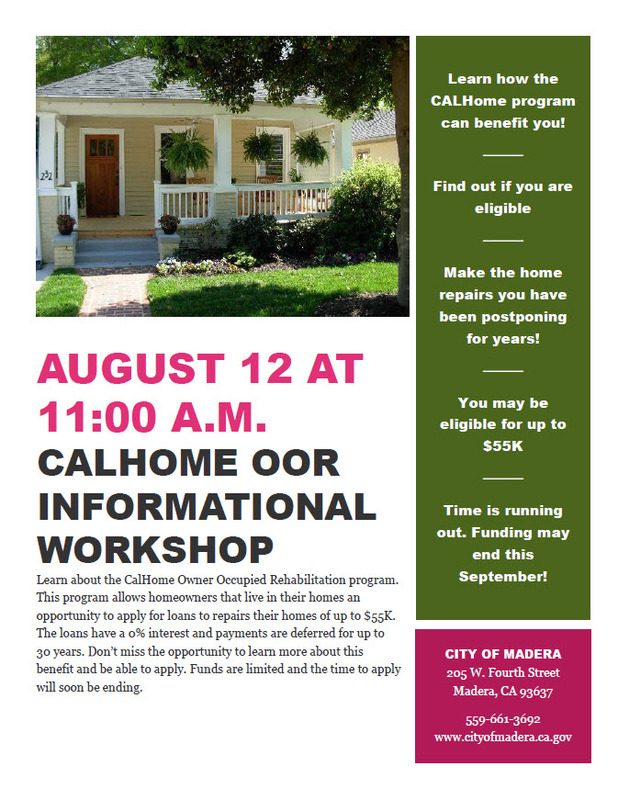 The CalHome Owner Occupied Rehabilitation Program provides funds to assist homeowners make repairs that affect life and safety matters, address code violations, and assist with making modifications to improve energy efficiency. For more information, please see our CalHome Brochure. Apply today! Click here to download the CalHome Owner-Occupied Residential Rehabilitation Program Application.